The program provides students with a broad introduction to key aspects of business that would prepare them for future careers in industrial, commercial and professional areas. The academic staff applies active learning and experiential approaches conducted in a relatively informal learning environment in their teaching. Courses taught may incorporate lectures, seminars, practical training and projects. The formal taught courses will be graded and recorded as Grade Point Average (GPA) and the final GPA over all semesters will be recorded as cumulative GPA (CGPA). Generally, taught courses will have continuous assessments that contribute 50-70% of the final mark and the final examination at the end of the semester will be the balance that should add up to be100%. One of the components in the program is a research project where candidates will be assessed as PASS or FAIL based on a master project or dissertation and assessment reports by supervisors and examiners produce graduate in the field of human resource development that looking forward the opportunity of life-long learning in order to meet the national’s workforce needs. The Master of Human Resource Development (HRD) program is designed for students who desire to inspire others and promote learning within individuals, communities, and organizations at the local and global level. Graduates will be equipped with the capacity to provide leadership; manage resources; design and implement processes for organizational learning; evaluate and develop staff; liaise with government, organizations and stakeholders; plan, monitor and review policies and programs; implement change in organizations; and demonstrate awareness of multiple perspectives and interconnectedness between learning, development, work and life. To produce graduate in the field of human resource development that looking forward the opportunity of life-long learning in order to meet the national’s workforce needs. To meet the vision and mission of the nation and university in enhancing the nation’s competitive position and human capital development through courses and research works that lead to the creation of new knowledge. To generate and expand knowledge related to the field of HRD through research activities. develop social skills through social responsibilities activities. Please note: Although every effort is made to provide the full range of modules, some combinations may not be possible and in some semesters certain modules may not be available. This course examines HRD from the perspective of organizing and managing HRD function through planning, designing, implementing and assessing HRD interventions. Ideas, constructs, and models are discussed for thinking about the possibilities for effective HRD practice. The discussion will also include specific perspectives on HRD that link HRD to enhance organizational strategy and to develop performance capability through learning interventions that meet strategic needs. Students will be expected to debate about the various role and competencies that are foundational to HRD practice. This course discusses the history, purpose and philosophies of adult learning. It emphasizes on adults’ development throughout the life span, uniqueness of the adult learners, motivation and barriers to adult learning, learning theories, and adult learning process. This course will also discuss topics related to issues and dilemmas in fostering adult learning.In this course, students will be expected to lead a discussion on their chosen topic and discuss and reflect its theoretical implications to real world practice. This course discusses the growth and relevance of organization development, the nature of planned change, the organization development practitioner, the process of organization development i.e. human process intervention, techno-structural intervention, human resource management intervention, strategic change intervention and application of organizational development. This course exposes students to the concepts of knowledge and knowledge management. It also covers the topics on key components of knowledge management solutions, including infrastructure, processes, systems, tools, and technologies. The impacts of knowledge management, the factors that influence knowledge management and the essential steps for performing a knowledge management assessment are also described. The practical implications of knowledge management and relevant topics pertaining to knowledge management are addressed through case studies and article discussions. This includes discussions on utilizing HRD functions in creating a knowledge-based workforce as well as issues surrounding the managing of organizational knowledge such as problems in implementing knowledge management and ethical issues. This course aims to enable students to understand the basic concept of statistics and its application in the data analysis. It focuses on both descriptive and inferential statistics. Among the topics to be covered in this course are presentations of data in table and graphs, frequency distributions, measure of central tendency, dispersion, t-test, chi-square, analysis of variance, correlation and regression. Besides that, students will also be taught in analyzing the data using non-parametric methods as well as assessing the reliability of the instrument through statistical analysis. The students will have a hands-on experience using SPSS for doing all the analyses. This course requires students to identify and apply problem solving method through the industrial counselling method. Topics discussed include counselling definition, comparison of APA and IHES, managing life through IHES counselling, 23 human potentials and the relationship with counselling at the work place, conscious mind, subconscious mind, super mind and body mind and its implication at the work place, application of industrial counselling skills for problem at the work place through Employee Assistance Programme (EAP). Students will also be required to analyse case studies in the industry pertaining to counselling and analyse decision making models and problem solving models in counselling at the workplace. The purpose of this course is three-fold: to build on your basic knowledge of organizational communication principles and concepts, to enhance your ability to apply these concepts in organizational assessment activities and generating strategies for organizational change, and to acquire skill and experience in doing organizational research in applied settings. This course discusses the concepts of human resource development from the Islamic perspective. This includes the discussion of the philosophy of HRD in Islam, organizational employee development in Islam, the concepts of man and human capital, holistic human development as well as incorporating Islamic element in performance development and evaluation. The view of employee development and performance from the Islamic perspective is one that is more holistic and inclusive and could affect profoundly the field of HRD. The practical implications of HRDI and relevant topics pertaining to HRD and the Islamic literature are addressed through case studies and article discussions. This includes discussions on utilizing HRD functions in creating a Islamic-based workforce. This course is designed to provide general background of employment relations with particular emphasis on the role of the employers, trade unions and workers in the evolution of the employment relationship. It will also cover the multi-disciplinary theoretical and empirical foundations of research on employment relations. Number of current theoretical and policy debated shaping the field will also be discussed. Emphasis will be given to recent research from various industries that illustrate the mix of methods. This subject will study the aspects of organizational management in more depth. This subject will discuss the theory and management application in an formal and non-formal organization including private and public organization. This subject also emphasis on the organization as a dynamic system and a job groups which have hard implication on the effectiveness of management and organization. Discussion on this subject includes issues related to globalization and development, such as capitalism, socialism, colonialism, poverty, digital divide, war, arm race and environmental issues. It aims in developing skills in understanding and analyzing global issues and recommending relevant solutions. This course discusses on the various aspects of the Malaysian culture and society. Topics on belief system, religious festivals, customs and etiquettes of different ethnic groups in Malaysia will be introduced to the students. In this course the student will be exposed to the ways of academic writing in Bahasa Melayu. 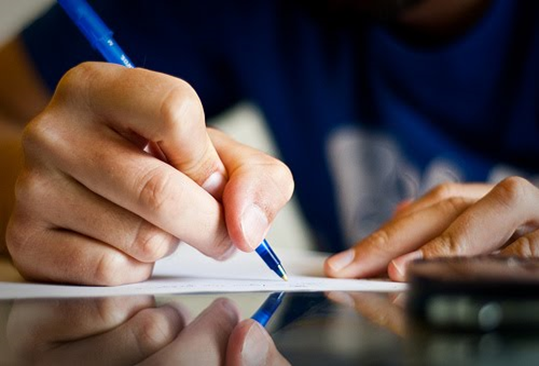 The focus of this course is on the spelling, sentence structure, punctuation and writing style. The student also will be expose to the style and format of writing such as literature writing, bibliography, abstract and editing. This course is conducted in two stages. In the first stage, students are expected to prepare a proposal on the topic of their interest within the scope of management of technology area. The proposal consists of introduction, literature review and Human Resource Research Methodology. Students are expected to come out with a good topic, clear problem statement and objectives, a comprehensive literature review and an appropriate Human Resource Research Method. Before proceeding to the second stage, students will have to present their proposal and will be evaluated by selected examiners via viva-voce and written report. Once students have passed the first stage, they will proceed into the second stage where they will have to collect data, analyse the data, discuss their findings and conclude their dissertations by providing the answers to their problem statement and objectives and provide recommendations to overcome the identified problems related to the research. The dissertation will be evaluated by selected examiners via viva-voce and written report. Grading system in the Faculty of Management for Postgraduate Programs is based on the points listed in the table. i) Taught Course – determined by CGPA. ii) Mixed Mode – determined by CGPA and research grade. iii) Research – determined by research grade. i) HL/HG: Attendance Pass/ Attendance Fail for subjects with the status of Compulsory Attendance (HW). iii) MM/TM/GG: Satisfactory (MM) / Unsatisfactory (TM) / Fail (GG) grade for a research course. i) Based on reasons acceptable to the University, TS status is awarded as the final assessment for an incomplete course. ii) A student who has obtained TS status for any course is required to sit for a Special Assessment within a prescribed period of time.